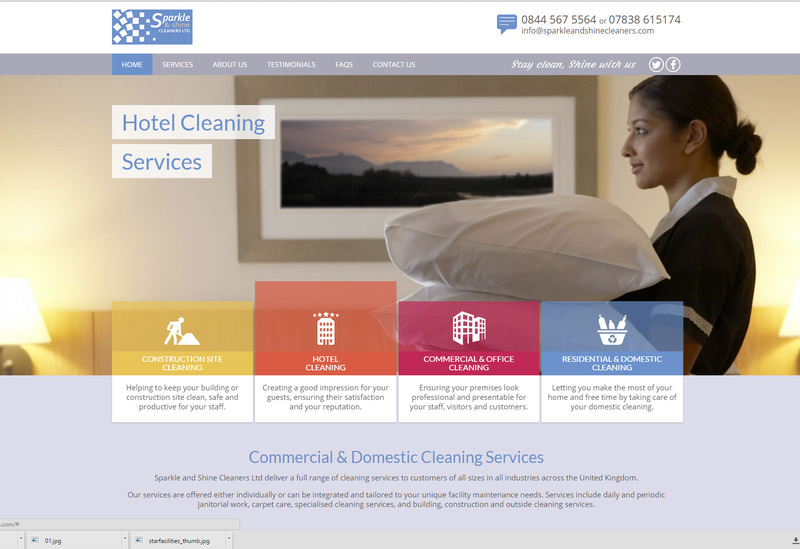 Sparkle & Shine are a national cleaning company with offices in Nottingham, Manchester and London. They approached Webfuel for a site redesign as their current site was looking dated. We designed a clean, crisp new site which was fully responsive. 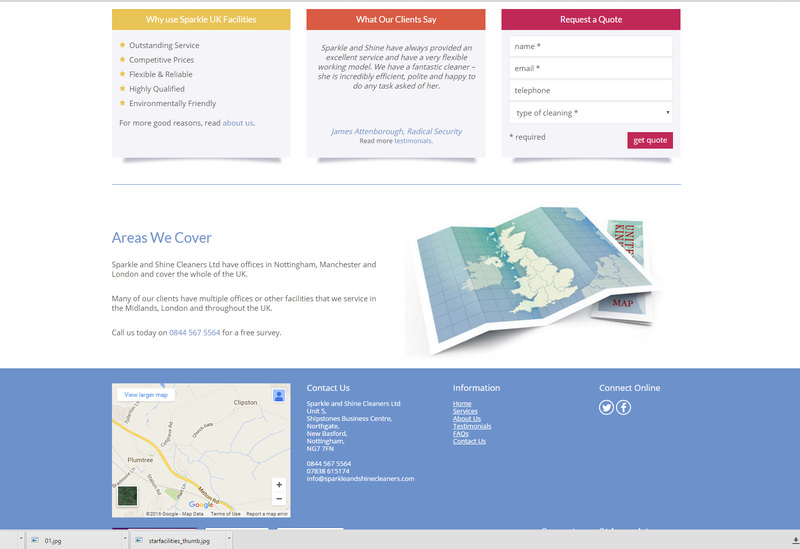 The site highlights the main service areas that the company provides. It also includes a testimonial and frequent asked questions section. 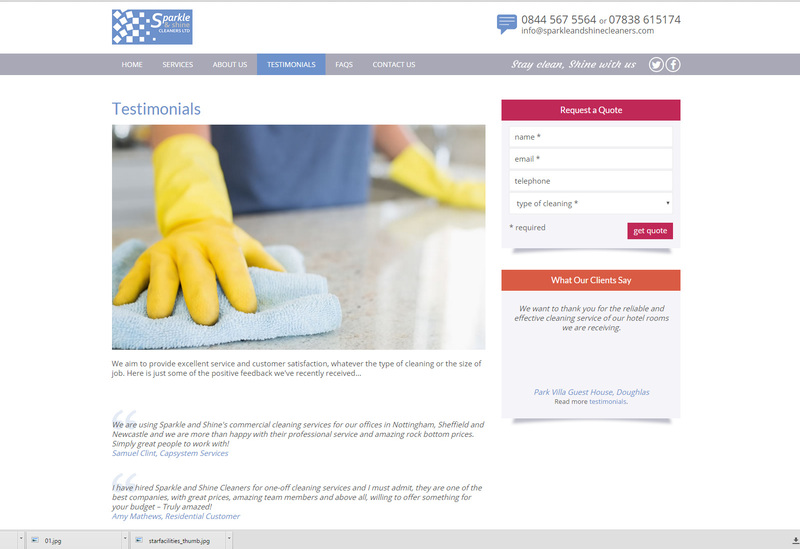 The site is fully updatable online using our cloud hosted content management system, so that Sparkle & Shine can regularly add new testimonials and update the site as and when required.